The 2018 tax changes are now being tested on the Enrolled Agent exam. In this webinar, Nate Wadlinger—CPA, attorney, and Lecturer in Taxation at Florida State University—walks you through these changes. 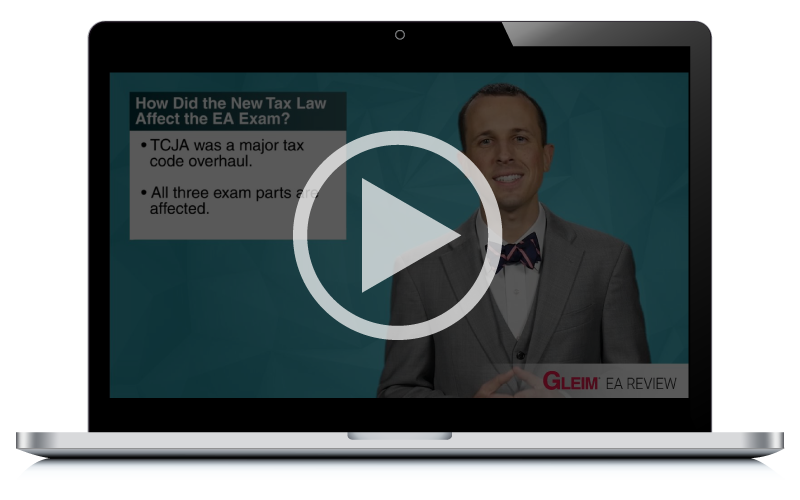 He discusses how the Tax Cuts and Jobs Act is reflected in the new material, and how you can prepare to pass with Gleim Enrolled Agent Review.